Hope you all had a great Christmas with your friends and family. Sorry I haven’t written anything this week, I took a few days off with the wifey. We ate, we shopped, ate again, and attended Jim championship parade. And somewhere in between we managed to watch the Dark Knight trilogy in one sitting. But fear not, I promise the blog posts will be back to normal after the new year. Until then, check out Empire Magazine‘s cover for their upcoming February issue. We finally get a good look at the good Captain’s new uniform, and the first photo of actor Sebastian Stan in Winter Soldier gear. Captain America: The Winter Soldier debuts in theaters on April 4, 2014. 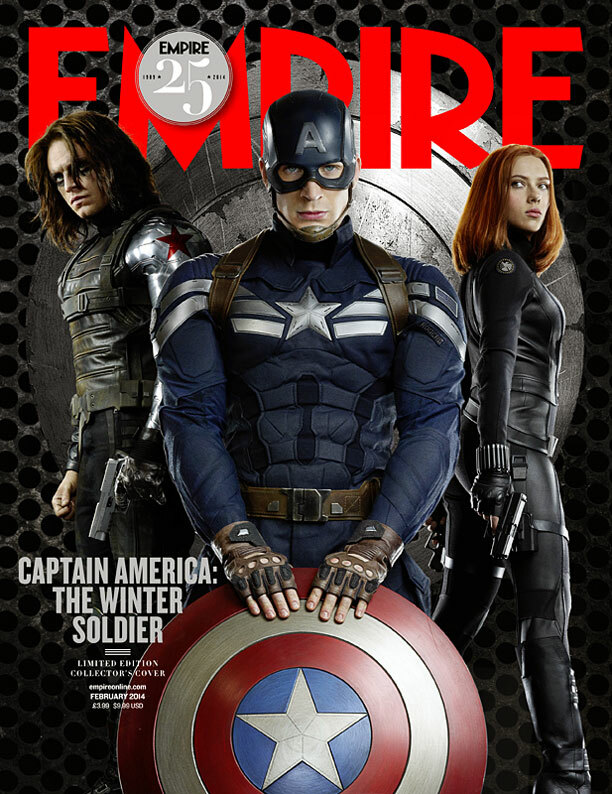 Empire Magazine‘s February issue hits stands Dec. 31.